A garage door should have regular maintenance service in order to enhance its safety and prolong its life span. Garage door springs are crucial in sustaining the functionality of a garage door and in case the spring snaps; the door can cause serious injury or even death. The door contains numerous springs that can cave in when the door is under pressure. Unfortunately, these pressures are caused by various factors like the weather changes, which are beyond anyone’s control, or simply wear and tear. Therefore, regular garage door maintenance can ensure these accidents do not happen.  In this regard, it is imperative for a garage owner to acquire the expertise of professionals to avoid damage. Typically, a garage door is used as the storage area for vehicles and belongings. The garage door has more than 300 moving parts that operate independently. Therefore the safety of a garage door should not be taken for granted because the door should remain functional when opening and closing. A garage door should operate with ease so that a car is not stuck inside or outside the garage. Regular check-ups and proper maintenance prevents the overall costly repair when the garage door is neglected and finally breaks down. Well-maintained garage door springs can last for a longer time when compared to the ones neglected. Maintenance procedure involves regular checks in order to carry out garage door spring adjustment when there is an anomaly in the alignment. Maintenance involved lubrication of all the moving components in the garage door. In most cases, a minor garage door spring repair is required when the garage door has various broken springs that cannot be fixed through spring adjustment. At such times, the garage door is usually functional but the door does not move with ease the way it is supposed to. When a garage door ceases to function completely, the owner is required to do a garage door spring replacement. The replacement occurs after failed attempts to adjust and repair the door spring. Neglecting garage door springs is costly in the end because broken springs can damage the operator. In addition, a neglected garage door can collapse inside the garage and cause damage on the things stored inside the garage. In most cases, garage is used to store machinery like the lawn mower and other tools in addition to parking cars. Therefore, constant maintenance involves garage door spring repair and garage door spring adjustment is essential to improve the durability of the garage door springs. We are professionals who specialize in garage door spring repair. Our services are available around the clock and we respond quickly to emergency calls from our clients. We have knowledge of fixing all types of garage door springs. We have the solution to all of your garage door problems. The Entire Valley of the Sun, Wickenburg, Prescott, & Surrounding Cities! 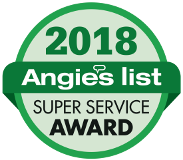 If you need garage door service, we are here to help!